Looking for a GREAT shopping experience? Come visit our Sense Showroom and sign up for our Veuve Cliquot shopping spree with any purchase. 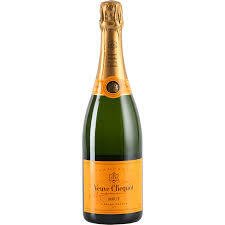 Just mention the Veuve Party to get your name in the hat! We will host a private party for the lucky winner. The party includes appetizers, 2 bottles of Veuve Cliquot, & $100 Sense Gift Certificate. You can invite 4 of your Besties. Winner will be drawn Nov 30. You choose the date anytime in December at 5-7 pm.